How Do Terrytown, LA, Shoppers Qualify for INFINITI QX80 Pricing? Car shopping doesn’t always come at a convenient time or even by choice. Sometimes, various situations require quick action to find the right vehicle. Just because you find something that suits your needs doesn’t necessarily mean it’s going to work out for you. To qualify for INFINITI QX80 pricing and drive a new car in Terrytown, LA, you need to get your finances in order. If you follow a few simple steps, you can eliminate some stress and worry. Your biggest helper may be in your garage. If you currently have a vehicle, it may be the key to qualifying for INFINITI QX80 pricing. Bring your current vehicle to the dealership and talk to the sales associate and finance team about putting toward your new purchase. Even if your vehicle isn’t getting along in years and worth only a few thousand dollars, it could bolster your down payment or even completely make up for it if you’re short on cash. It may not always be a comfortable discussion, but if you know someone in Terrytown, LA, with great credit and income, he or she could help you overcome your buying barriers. When someone cosigns the loan with you, the finance team will use his or her financial information with yours to augment your chances of qualifying. It’s important to understand that this person will be responsible for paying for the loan if you can’t. Excessive debt can be one of the biggest hindrances to qualifying for INFINITI QX80 pricing. Don’t let high credit card balances get in your way of securing the vehicle you need. Take a look at your high-interest credit cards and installment loans and either pay them off completely or at least pay off a chunk of the balances. This will free up cash and give the dealer confidence that you can afford the loan. If you don’t have a trade-in but have some money in your saving’s account, consider making a larger down payment. The dealer will likely require a certain percentage of the purchase price. If you can add a few thousands more, it will not only lower your payment but increase the likelihood of qualifying for the loan. Terrytown, LA, shoppers use this method to get into the car they want that they otherwise couldn’t afford. 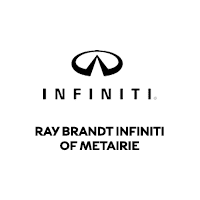 Ray Brandt INFINITI has a good selection of vehicles and INFINITI QX80 pricing you can feel good about. Stop shopping all over Terrytown, LA, and come here for your next vehicle.